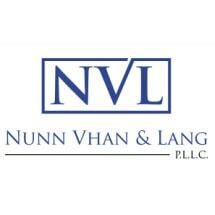 At the law office of Nunn Vhan & Lang, P.L.L.C., in Everett, Washington, we offer a comprehensive range of services to help you with all the important and sensitive legal issues affecting your family and your future. No matter how complex your needs or the circumstances surrounding your case, you can trust that we will always protect your rights and interests while fighting to achieve the goals you seek efficiently. With extensive experience in mediation, arbitration and collaborative law, we can help you resolve your conflicts and reach agreements as amicably as possible without the need for expensive, time-consuming court battles; however, we will not hesitate to advocate on your behalf in court when necessary. In addition to helping you through your divorce, we can assist with establishing and enforcing your final wishes for the future while helping you create a lasting legacy for your heirs and loved ones. Recognized for our impeccable professionalism and commitment to those we serve, we have earned top ratings as well as Clients' Choice awards from AVVO, and our law firm has grown to include two offices in the area, so you are never far away from the effective counsel you deserve during your difficult and uncertain time. For more information, you can contact Nunn Vhan & Lang, P.L.L.C., to schedule a consultation with one of our attorneys.